Want to acquire photography skills or showcase your awesome skills? Get ready to learn, network & shoot beautiful pictures on the go! 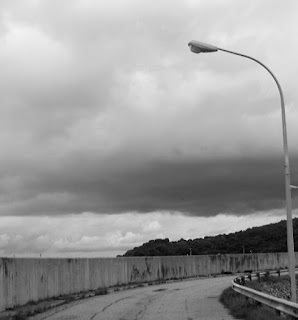 Take off point: Adamasingba Stadium, Ibadan. Participation: Free, but you must register online before Oct 1. Come looking sporty & pack your own refreshments, especially glucose water. Independence Day just got exciting! 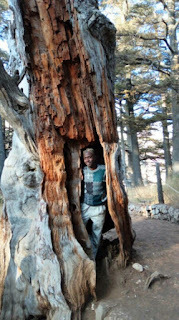 Mr. Khalid lmam, a Nigerian bilingual poet, playwright, essayist, and teacher just returned from Lebanon where he spent 10 days in the Middle eastern country under the auspices of Study Abroad In Lebanon (SAIL) program. The 10-day intensive program is designed to strengthen Lebanon - Nigeria relationship especially in the areas of culture, literature, religion and history as well as expose participants to the beauty of world history through the eyes of Lebanon. As one of the ten selected Nigerian writers nominated by The Wole Soyinka Foundation to attend the SAIL/WSF 2017 Program which was co - hosted by Notre Dame University, Louaize, Lebanon and CEDARS Institute, Mr. Imam, who is the Vice Chairman of the Kano chapter of the Association of Nigeria Authors (ANA) and a member of the Board of Trustees of Poets In Nigeria (PIN), returned to Nigeria with a trove of memories of Lebanon and its people. Benin kingdom in Edo state has resolved to formally kick start an academy for art, culture and tourism to revitalize the Benin cultural heritage which was in systematic decay, reports the News Agency of Nigeria (NAN). 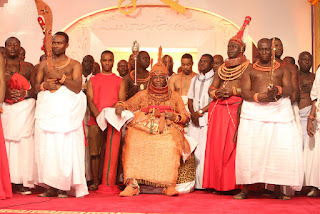 Omo N’Oba N’Edo Uku-Akpolokpolo Oba Ewuare II announced the plan when he played host to some various theatre groups in his palace on Tuesday in Benin. According to Oba Ewuare, works are near conclusion at the site of the academy which would be named “ Benin Royal Academy of Performing Art “. The Oba said aside the teaching and learning of various Benin cultural heritage, the academy would also teach deeper proverbial and interpretations of Benin traditional heritage in rhythms and arts. He said the academy would also serve as learning centre to all categories of persons, especially the young, who are almost veering out of the traditional norms of the society. 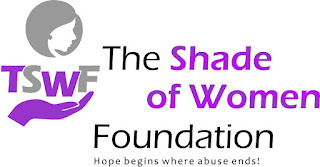 The Shade of Women Foundation seeks poems, photographs, artworks, flash fiction and short stories to commemorate the International Day of the Girl Child 2017. We also welcome nonfictional prose delivered with a punch. We want to read your writing —The humorous, the thought-provoking and the quirky! * nonfictional prose up to 2000 words. Simultaneous submissions accepted if identified as such. Please identify the genre in the subject line in the format: genre_name of writer_title of entry. PS : We’re not an ideal place for unnecessarily explicit content. 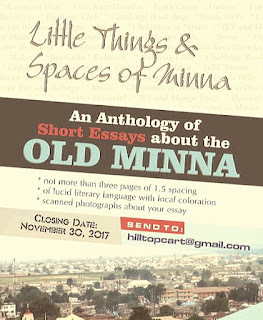 The Hilltop Creative Arts Foundation, Minna, Niger State, Nigeria, passionate about documenting Minna city in a book form to give the young people a feel of her past calls for submission of essays about Minna, the Niger State Capital. The book will be titled “Little Things and Spaces of Minna: An Anthology of Short Essays about the Old Minna”. 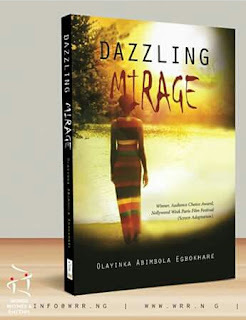 It is obvious that there hasn’t been any serious document in a book form that explains the behaviour of Minna and those who lived in her in the past. It is the reason why the Hilltop Creative Arts Foundation Minna desires to relive the city by getting young and old people, particularly the old to bring back those profound moments and memories of places and convergence grounds that had contributed to the molding of characters of individuals that grew in her in those past days. 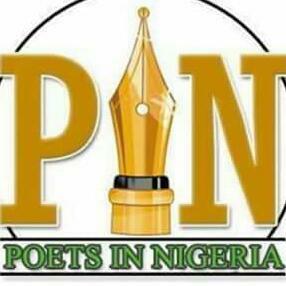 In recognition of the role of poetry as an effective tool of liberation of societies, the Poets In Nigeria (PIN) organisation has planned to celebrate its two years of existence alongside Nigeria’s Independence anniversary in October 2017 with Special Poetry Reading Sessions across the country. 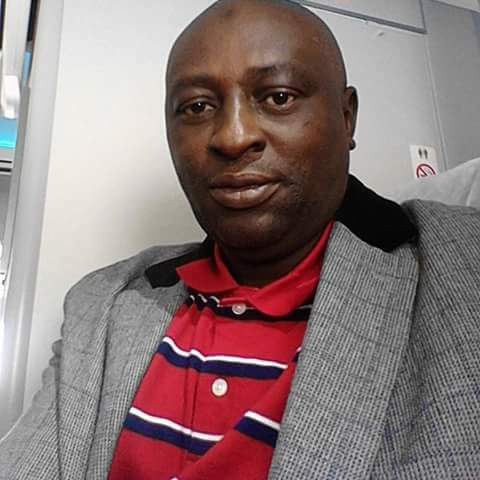 The President of Poets In Nigeria (PIN), Mr. Eriata Oribhabor observed that Literary creativity is a potent tool for the realization of both individual and collective freedom. Adding that poetry has always been used as fierce tool in the fight for human rights, dignity and freedom which PIN intends to project all through the month of October. While declaring October 2017 as a month of Freedom and Creativity, PIN says special poetry reading sessions would hold throughout October in Abakaliki , Akwanga, Badagry, Calabar, and Gombe. Other locations of the special poetry readings are Enugu, Epe, Kano, Makurdi, Obalende, Ojo, Port-Harcourt, University of Ibadan and Yaba, Lagos. (3) Tales From Our Past - Lucky James. The 36th annual national convention of the Association of Nigerian Authors (ANA) is due for next month (26th - 29th October) in Makurdi, Benue state. While assuring delegates of a well-planned convention, the National President of ANA, Mr. Denja Abdullah in this interview with The Arts Muse Fair says the Association will no longer tolerate the attitude of late registration to conventions by members. TAMF: The annual convention of ANA is due for next month. What is the level of preparation? Denja Abdullahi: We have set the ground norms in place to ensure a better-organised convention. That started with the publishing of the pre-registration procedure containing some salient features, which we are going to enforce.